When it comes to reform, local issues are often overlooked these days. Jason Bradley and Andrew Richter join me for the second half of our interview to talk local. Click here for part one. 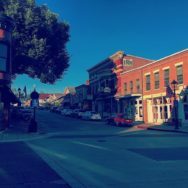 Learn more in Reforming Your Town-Local Issues-Part 2-Bob Davis Podcast 803. I joined Andrew and Jason for the 100th Community Solutions MN podcast recently. In that podcast Andrew and Jason made the point that they’ve discovered the most pressing local issues in Minnesota are surprisingly uniform. Moreover what it comes down to is increasing control of local communities by state and federal government. Bike trails. Light Rail. Unelected boards and ghost written city plans. Roundabouts. Higher property taxes and local costs. You’d be surprised to see opposition to these plans from politically unpredictable sources. Certainly some there are some supporters for this kind of development. In contrast support begins to fade when locals learn how much these great ideas cost. Find out about it in Reforming Your Town-Local Issues-Part 2-Bob Davis Podcast 803. Moreover national groups and sponsors of social initiatives often go around state and federal legislatures to force their will on unsuspecting and weak local residents. Andrew and Jason have called it the death of rural America. Especially relevant here are local infringements on second amendment rights. While state legislatures and the US Congress struggle with firearm legislation regulations are being forced on local communities. Community Solutions MN also points out a most noteworthy tactic. Often local councils and boards will use ‘work sessions’ to debate and decide, and have a useless public hearing to take questions at the last minute before levies and initiatives are about to be imposed. Finally what about subsidies and costs? Taxes? Levies? Fees? The average american has only five hundred dollars cash in reserve. Financial burdens on the middle class from local governments are more significant than you’d think. In conclusion everyone focuses on the circus in Washington DC. However local governments are robbing us blind. These days there’s so much focus on national issues. Most of us do not realize we can have a big impact on our local towns. 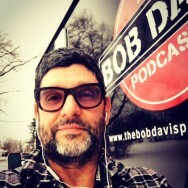 Two guys who know the drill join me from Community Solutions MN in Fixing Your Town-Local Activism-Part 1-Bob Davis Podcast 802. Jason Bradley and Andrew Richter tell their story in part 1 of an epic interview. I like Jason and Andrew because they’ve forgotten more about local activism than most people have learned. Jason and Andrew got started as two citizens upset over a proposed road widening. The spark? When they protested, the city government told them to pound sand. Learn more in Fixing Your Town-Local Activism-Part 1-Bob Davis Podcast 802. I have reported on and talked a lot about national and state issues in these podcasts. Media misses an especially relevant truth. 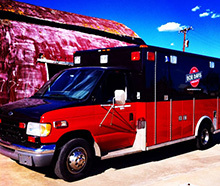 Small towns are often told what to do by state and federal agencies. Jason and Andrew have called this the death of rural America. This podcast tells a story. That story helps people understand they are not powerless. 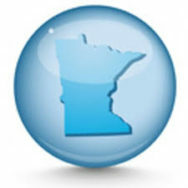 Community Solutions MN can help people in townships, small towns, and especially suburbs that ring major cities. Finally, we’ve all heard of the special deals big companies get to put warehouses, plants, stores and ‘research facilities‘ in states and major cities. Did you know this is happening in small towns and suburban villages too? Truth is the taxpayer foots the bill. In conclusion most of the time city councils, county councils and township governments get the feeling they can do whatever they want. Part 1 of this interview shows citizens can take back their town and their county, much to chagrin of the so called perfumed princes who act as though their exalted position is their birthright. Podcast 545-Bob Davis Podcast Radio Show-42. It’s labor day weekend, and as people head to the lake or to the State Fair, Podcast 545-Bob Davis Podcast Radio Show-42 is almost an hour of brand new content for the trip, and for your extra long holiday weekend. We start with a review of the week’s political landscape. Despite better national presidential preference numbers for Trump, state by state polls have not tightened appreciably in key electoral vote-rich states. Hillary Clinton continues to pace Barack Obama’s averages from the 2012 presidential election. Of course the state by state averages can change so we’ll revisit this polling at the end of September and again just before the election at the end of October. Meanwhile, neither of the two mainline presidential candidates is talking about permanently reducing the size, scope and power of governments, federal, state or local. In Minneapolis and Saint Paul we have had yet another example of government overreach in the form of an unelected body of Dark Lords known as the Met Council. After the Minnesota House decided not to fund the controversial South West Light Rail Project, which Minneapolis’ richest and most liberal precincts fiercely oppose, the Met Council decided to issue their own bonds to the tune of more than a hundred million dollars, and ask metro counties under its control to issue tens of millions in debt as well, all to end run the legislature and green light the project. Much has been made of the republican’s distaste for the council, but when they had a chance to drive a stake through its heart earlier this year, the legislature rearranged some of the terms of the councilmen and women, and some of the funding. A local mayor found a way to kill the Met Council last summer by empowering local municipalities to say no to them. Yep, local towns and cities – by state law – cannot say no to the Met Council. This law can be changed by the legislature. Why haven’t they done it? This is just one example of government overreach. In this Labor Day weekend’s radio show the dangers and costs of too much and too powerful government; something neither of the mainline candidates and their parties are going to do anything about. One wants to hand out free education and health care, and the other wants to spend billions to build a wall. Both will increase the size, scope, cost and power of the federal and state governments. This is a discussion we aren’t having now because we’re too busy arguing about whether one of the candidates should go to jail and whether the other one is a fascist. Meanwhile the advocacy media just keeps on covering politics like sports, and people keep watching and listening, all the while complaining about it. This podcast closes with something fun, a throw back podcast to the Minnesota State Fair from the early 80’s; an audio montage done then, just for fun. It’s amazing how much the fair and the people have changed. Sponsored by Brush Studio in the West End and Hydrus Performance.